Let’s face it: there’s a lot of health and nutrition information out there. We live in a super-saturated society of digital advice, urging us to adopt certain lifestyle and diet habits while writing off others as severely damaging. It’s easy to get overwhelmed, especially if you start to feel like your available nutritious dietary options have been halved! That’s why we really enjoyed this Eating Well article that offers some important health analyses for a few of the foods we’re told to avoid. It’s important to balance your perspective, and to bring a realistic, sustainable approach to your healthy eating. So take a look at our list, and celebrate the tasty foods that can be enjoyed in moderation, and as part of a nutritious diet. We hear lots of mixed things about eggs, but many people are scared off by the high cholesterol count. Cholesterol definitely needs to be moderated, but as Eating Well reminds us, the cholesterol that we consume in foods doesn’t typically raise our blood cholesterol significantly. Rather, the bigger heart-disease dangers are saturated and trans fats. 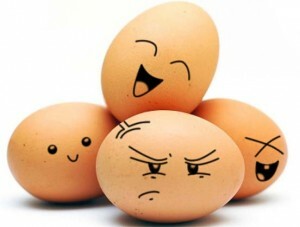 Enjoy eggs in moderation and pay attention to your cholesterol intake on a daily basis. For a healthier breakfast, skip the yolk and double up on egg whites –you’ll still get the protein and consistency you love without as much cholesterol and fat. Mmmmm….if you love your carbs, you’re not alone. Carbohydrates are comforting, relatively filling and just plain tasty. But many of us know to tread with caution- When you load up on refined foods and simple carbs, you’re definitely making a poor dietary choice and increasing your risk of weight gain, obesity, and diabetes. 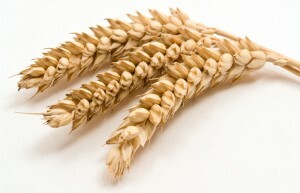 But there’s plenty of great carbs out there too, that have an important place in your diet. These include whole grains and beans which can help provide some filling substance to a meal while also offering nutrients and protein. We took note of this one, because it seems that going GF or gluten-free is a dieting fad these days. With so many products being marketed sans gluten, Eating Well points out that “it’s easy to think their benefits might stretch beyond the audience for whom they’re intended: people with celiac disease and gluten intolerance.” Well put! If you don’t have a medical condition that prevents you from eating gluten, there is no reason to cut it from your diet, as this won’t offer you any health benefits. Without an intolerance causing you symptoms in the first place you won’t experience the surge in health or energy associated with a gluten free regimen. So don’t self-diagnose! There are a number of reasons why we experience digestive distresses that are easily mistaken for a gluten intolerance. A thorough consultation can help you sort out what’s making your insides unhappy. Check out all 13 of Eating Well’s Food and Nutrition myths here!